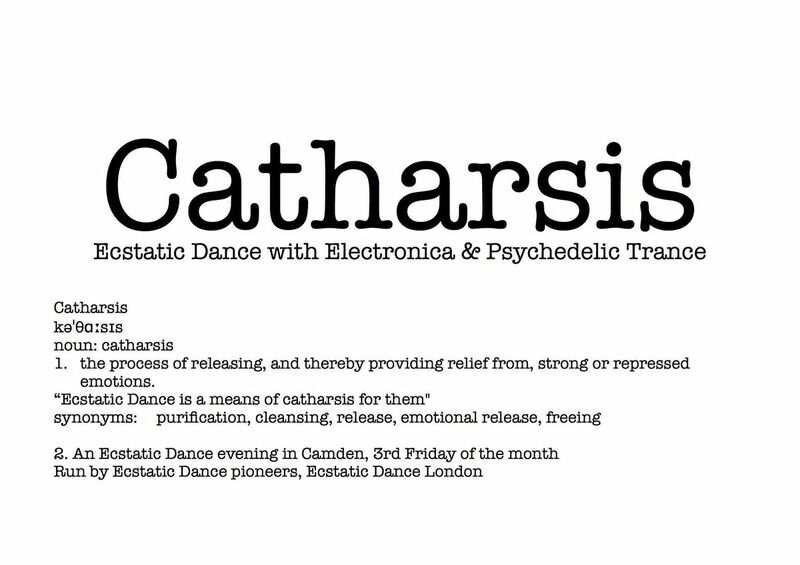 You are invited to join us for this new monthly Ecstatic Dance London event on the 3rd Friday of the month. For this event, we'll be including magical ceremonial grade Cacao, powerful Breath techniques and Hypnotic music to connect us deeply with Our dance and our creativity. What is Catharsis? Catharsis is about Liberation, Purification, Freedom and Fun! It about getting in touch with the wild dancer who doesn't give a F*** what people think. To open up and make friends with our anger, our power, our passion, our playful nature and our tender heart - all accompanied by a scorching psytrance and electronica soundtrack. Why Cacao & Ecstatic Dance? Cacao is the ultimate heart opener, it will give you energy, revitalise your BodyMind inviting you to express, release & unleash your creativity on the dance floor! Exploring Cacao + Ecstatic Dance as a potent synthesis for Liberation! Release what no longer serves you, and invite in what you want more of in your life! The 2nd Annual High on Life Retreat - Ecstatic Dance Festival! - An experiential playground for co-creating transformational experiences. - Life-affirming retreat beyond the old Drug and Alcohol paradigm. - Awaken the dancer within! Dance to feel alive, find your creativity and freedom through conscious dance! - A weekend of wild dancing, fun and heartful meetings with other lovers of dance, music and healthy living. 2) What is Drum Mantra? Sessions are facilitated and DJed by Seth Newman, Seth is the pioneer Ecstatic Dance in the UK, with his band Urubu & Ecstatic Dance London. With his background in body psychotherapy and active mediation, he brings a wealth of experience holding heart centred spaces. What to Bring: 1. Loose-fitting clothes that let you move your body and free yourself 2. Water and a water bottle. You can refill it at the venue. What to Expect: 1. Next-level, conscious, inspiring Electronica & Psychedelic Trance2. A beautiful sacred space 3. A safe space for you to dance freely in 4. Vibrant people who love to dance and love music!